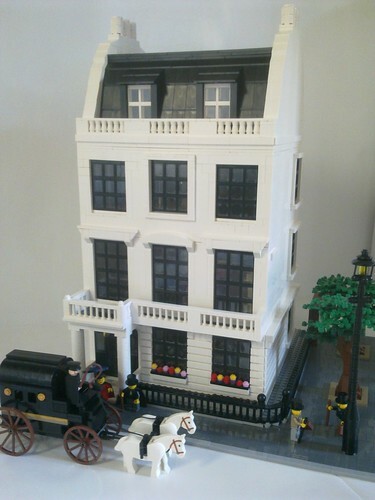 Brick Town Talk: London Calling - LEGO Town, Architecture, Building Tips, Inspiration Ideas, and more! Belgravia, London - (BTT) They sure don't make them like they used to - not that any of us could afford such a lavish home today. Certainly the height of luxury back when it was finished in at the turn of the 20th century, this Georgian townhouse spared no expense. Inside the opulence continues - from the reception area to the dining room to the master bedroom, every space has been thoughtfully considered.